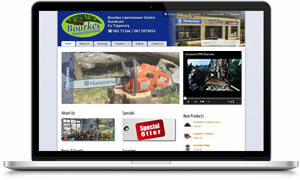 Bourkes Lawnmowers, based in Dundrum, Co Tipperary specialise in Forest & Garden Machinery. We were tasked with designing a logo and building an ecommerce website to showcase their products. We were also asked to optimise the site for various product-related, geographical terms to ensure quality organic search engine traffic.